If you like both anime and League of Legends, Riot Games has some new merch in its store that’ll be a perfect fit for you. Available now through Riot Games’ merch store are new shirts, a hoodie, and a hat featuring champions like Jinx, Darius, and Blitzcrank. 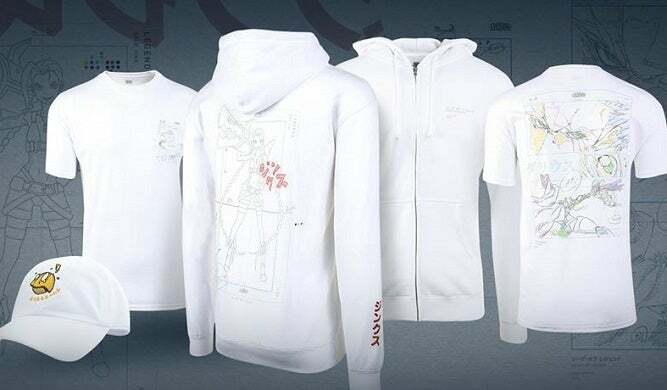 All of the new items in the anime-inspired line of merch can be found through Riot Games’ store with a preview of the new merch found below as shared by the Riot Games Merch Facebook page. Jinx got more items than the other two champions with the ADC featured on both a unisex hoodie and a t-shirt, though Blitzcrank and Darius have their own merch items for those who prefer to play as them. Darius, like Jinx, has a t-shirt that shows various partially-colored sketches of the champion with an anime style to it. Blitzcrank doesn’t get a shirt like the other two, but the Great Steam Golem was instead featured on a white dad hat that shows Blitz with a surprised expression. The emotion’s probably one inspired by the face Blitz players make when they miss a pull or grab the wrong enemy. Each of those items can be seen in the preview below, and we’ve also listed out each item along with its price and a link to the store page for it where it can be purchased. Riot Games’ post explained that the t-shirts were only available in select regions at this time, so there’s a chance it might not be available in your area right now. Merch items like these aren’t the first time League of Legends has dipped into the world of anime and related interests. Star Guardian figures and similar merch items are the most obvious example of this, but Riot Games has also released K/DA merch inspired by the K-pop skins and music video it unveiled late last year.